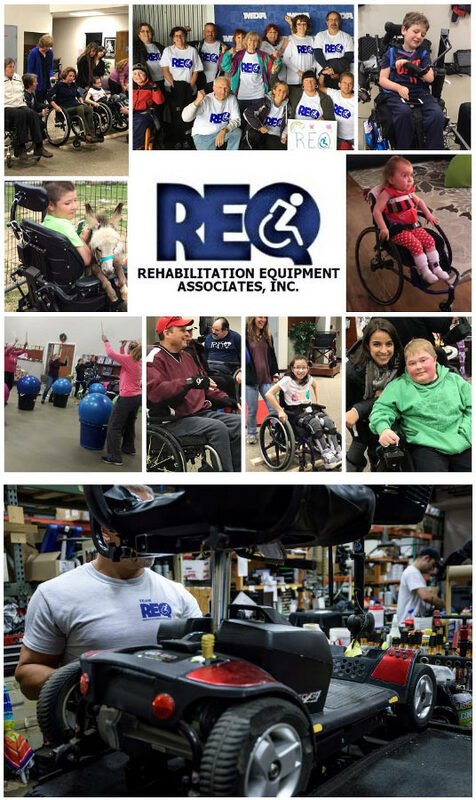 Rehabilitation Equipment Associates (REQ) has been providing services in New Hampshire and surrounding communities in New England for over 30 years. Our original specialization was pediatric and adult rehab from basic to the most complex. Gradually, REQ expanded its services to include not only rehab equipment, but standard home medical equipment (HME) too, including rentals, disposable supplies, seat lift chairs, hospital beds, stair lifts, scooters, bath items and more. We continue to build alliances with new vendors to expand our current product and service offerings. REQ is one of New England's leading providers of wheelchairs and mobility equipment. REQ is fully accredited by The Joint Commission and is known for the excellent care provided by our trained and experienced staff. REQ is a specialized medical equipment provider of innovative solutions to children, adults and seniors with mobility, seating, and positioning needs. Our focus is on fully meeting and exceeding the customer's expectations. REQ maintains a large on-site inventory of parts, a trained and certified Service Team that operates at our Manchester, NH headquarters and also offers in-home service. REQ provides a complete selection of home care and communication equipment and is the largest supplier of incontinence products in the area. REQ is the home of HUBSCRUB, a state-of-the-art automated cleaning and disinfection system for medical equipment. REQ is equipped and ready to do your home modifications to assist in access, transfers, and other modifications that will keep you active, independent and IN YOUR HOME.